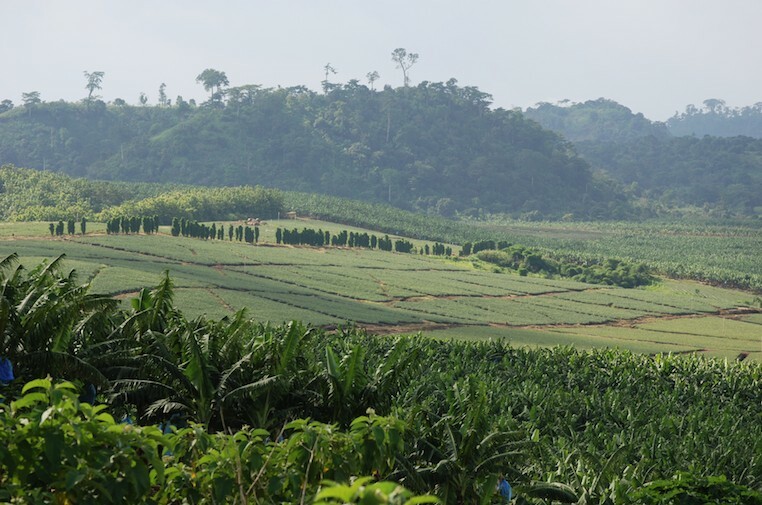 Société des Plantations du Haut Penja (PHP), the Cameroonian subsidiary of Marseille-based Compagnie Fruitière, aims to produce 230,000 tonnes of bananas by 2020 in the Littoral Region of the country, according to Agence Ecofin. The forecast was made by the minister of agriculture during a visit to the agro-industrial unit and represents a significant increase from the 168,000 tonnes cultivated in 2015. To meet this target, and to help achieve the future goal set by the government of 500,000 tonnes by 2035, the PHP has launched an expansion of its plantation programme. The company announced the creation of 800ha of new banana plantations in Dehane in the south of the country, to add to the 3,000ha it already operates in the Mungo department in the Littoral Region. The programme’s first phase will reportedly involve the irrigation of 52ha of land. PHP is the leading banana grower in Cameroon, accounting for approximately half of national production. The company, the result of the merger of Société des Bananeraies de la Mbome (SBM), Société des Plantations Nouvelles de Penja (SPNP) and Plantations du Haut Penja, expects production to increase to 185,000 tonnes this year.